Barcelo Corales Suites Resort opened in 2018. 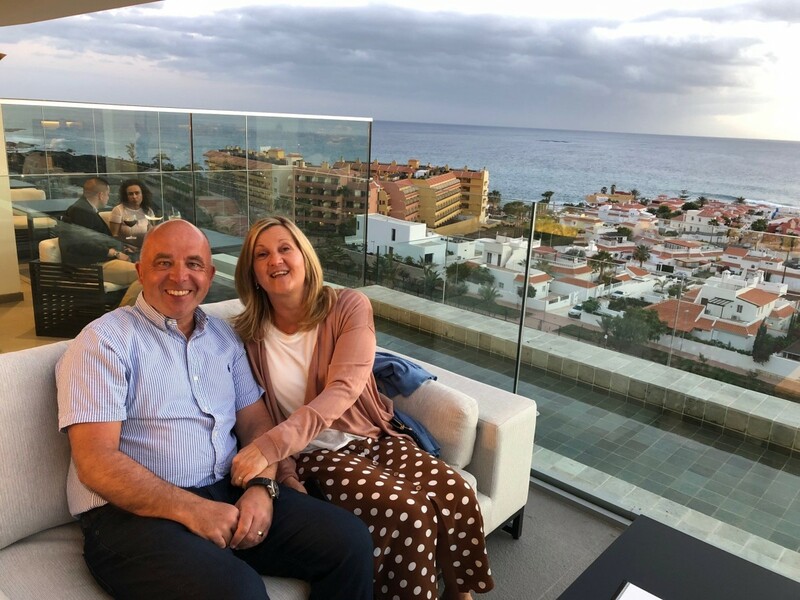 We decided to take our close friends (and property developer) Roger and Jenny Whittaker for a pre dinner aperitif on the roof top terrace prior to our reservation in one of our favourite Venture Group Restaurants 88 in La Caleta. We went to the reception and were well received and directed to the lift which took us to the roof terrace bar and restaurant. The views were spectacular; the service was superb by all the staff and the ambience was sublime. The panoramic views made it easy to identify the infrastructure and ongoing input to this upmarket area from La Caleta to Playa de Duque. We had a lovely evening with my wallet much lighter, my belly much fuller and we all left totally content. I would highly recommend a visit.